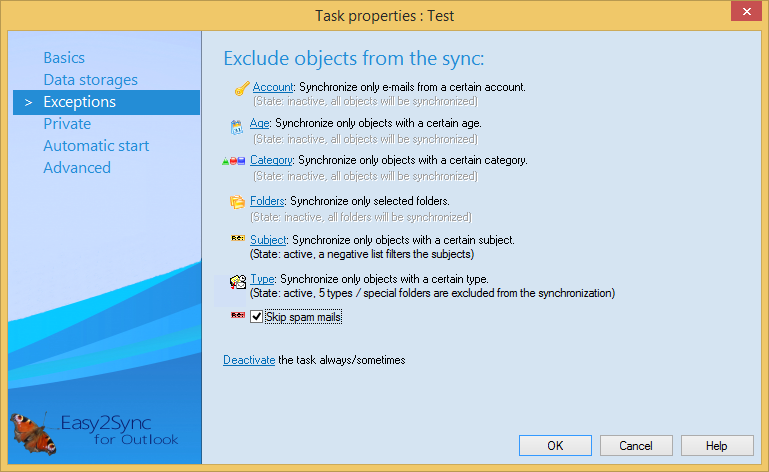 You may want to synchronize only a part of your e-mails, contacts, etc. Or you may want to synchronize only e-mails, contacts, etc. that contain (or do not contain) a certain text within the subject. For this, this dialog has subdialogs that allow you two configure exceptions for folders, subject, age, category and type.